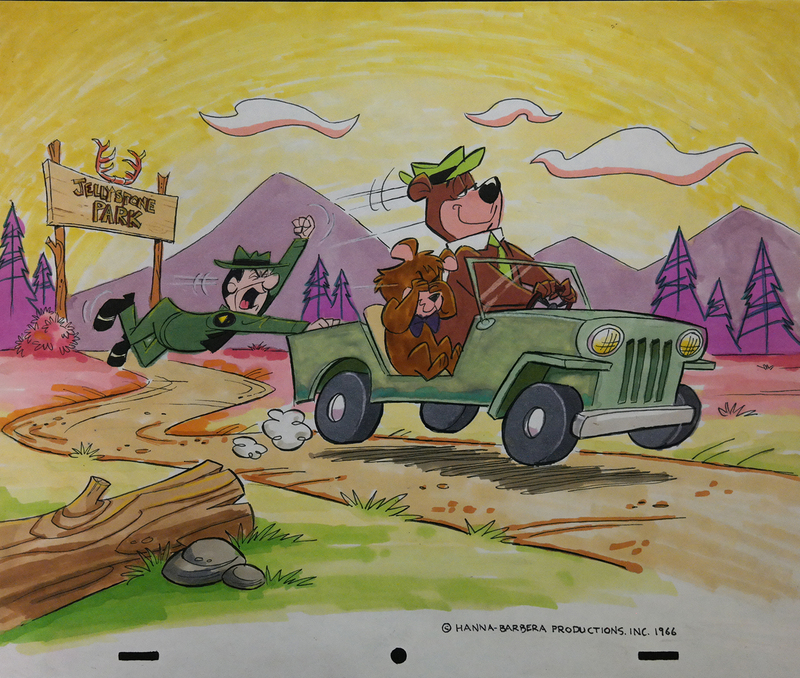 This is an incredible original color concept done in 1966 featuring Yogi Bear, Boo-Boo Bear, and Ranger Smith from The Yogi Bear Show (1961). This artwork was probably done for publicity of the show in the mid-sixties or used as presentation artwork to the networks. Artwork such as this is extremely rare. The image measures 9.5" x 12.5".